It’s not out of the ordinary upon hearing the word “rare” one conjures images of precious metals, dazzling jewels, or artifacts from a bygone era. It would be a unique person who would think of minute variations in the human genome as synonymous with rarity, but that is exactly how disease hunting scientists tend to think. 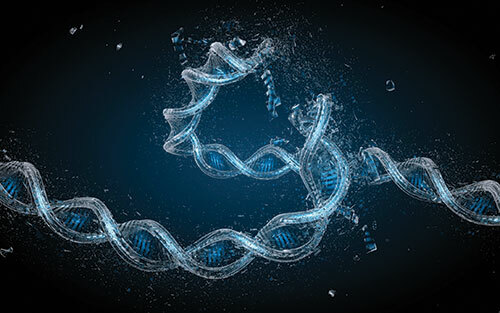 While the practical approach of empirical trial and error has produced strong therapeutic results for many maladies, rare diseases represent a particular challenge for investigators that has been seemingly insurmountable—until the recent dawn of the genomic era. Rare diseases or as many investigators often call them, undiagnosed diseases, are in many ways a mathematical problem. The first part of the equation is the classification of prevalence. Where in the world an individual hails delineates how the prevalence of rare disorders are defined. In the United States, the Rare Diseases Act of 2002 states that “any disease or condition that affects fewer than 200,000 people,” or about one person in 1,500, is classified as rare. In Japan, however, rarity is defined as diseases that affect less than 50,000 people (about 1 in 2,500), with similar numbers for Europe (approximately 1 in 2,000). The second part of the equation lies in the actual number of people with rare, undiagnosed disorders, which is actually quite a large number and seemingly antithetical to the idea of being “rare.” For example, many estimates suggest that 5% to 10% of the U.S. population is afflicted, and more than 300 million people worldwide are living with at least one of the 7,000 genes currently defined as rare. The final mathematical challenge lies within the diagnostic, and therapeutic realms. Currently, it takes an average of seven years for a diagnosis of a rare disease, which constitutes an average of eight different clinical visits and three misdiagnoses. This is incredibly frustrating for patients and their families as a significant bulk of undiagnosed disorders affect children. Moreover, 95% of rare disorders do not have a single FDA-approved treatment. Yet, clinicians and researchers are only as good as the diagnostic tools at their disposal that are validated for prognostic duty. Advanced sequencing techniques and molecular diagnostic tests are facilitating rapid detection of rare genes, but investigators still face a catalog of genetic variants that require disease confirmation status. “How do we deliver care using genomic medicine?” is the question that drives Howard Jacob, Ph.D., executive vice president and chief medical genomics officer for HudsonAlpha Institute for Biotechnology, to continually speak about the indispensable value of next-generation sequencing (NGS) technology for identifying and diagnosing rare disease. With prices for NGS continuing to plummet, genomics is moving out of the laboratory as a tool for pure research and beginning to cross the threshold into the clinical space. But not all genomic tests are created equal and, with a variety of options to choose from, how do physicians decide which test to use, which is best, and which will be reimbursed? As with all emerging technologies, the various sequencing modalities come with their fair share of pros and cons. Many clinics use targeted exome sequencing for well-defined disorders that often have validated biomarkers. These tests require manufacturers to synthesize a small number of genes and gene variants, which keep test costs down and results rapid. However, since the overwhelming preponderance of rare disease cases are caused by de novo mutations (approximately 65%) occurring at some functionally important region, it becomes difficult for researchers to identify the particular genetic markers, let alone place them into a targeted genetic panel for clinical diagnostic use. This wrinkle causes researchers to swing the genetic pendulum in the other direction in an attempt to maximize the amount of genomic coverage per test. Most commercially available exome capture kits cover approximately 99% of the reference sequence (RefSeq) databases’ exome information, and over 95% of the targeted bases are covered at least eight times with a typical WES run—suggesting that there is a large of amount exome coverage being achieved. Yet the positive diagnostic rate of clinical WES for rare phenotypes settles in around only about 30%—signifying that a substantial portion of the remaining phenotypes might be caused by variants located outside of exons or are not detectable by WES. Although the majority of functionally critical and disease-causing mutations occur in protein-coding regions, most of the genome is noncoding and may contain variants with functional significance that have been overlooked. WGS does have some clear advantages over WES, the obvious being that WGS covers the regions that are missed or not included in WES, which can be critically important in uncovering mutations that lead to rare disorders. Furthermore, WGS typically generates more uniform sequence coverage, and it can take advantage of longer reads, which provide much more useful information on copy number variations and other DNA structural alterations. But WGS is not without its drawbacks. Cost and speed are intertwined aspects of modern healthcare and are factors when deciding which diagnostic test is to be utilized. Since there is far less genomic information to read, WES is undoubtedly faster than its counterpart, and currently, WGS projects range between $1,500 to $2,000, which gives WES the advantage. But that advantage is not as clear cut as it once was, as exome sequencing endeavors have slipped slightly below $1,000. As stated previously, the problem of rare disease genomics is largely a mathematical one. To identify a significant proportion of rare disease variants, we need to accrue quite a large number of genomes from the population—most likely into the millions—to provide enough coverage and accuracy. “Each new genome sequenced contains millions of variants, most of unknown significance,” Dr. Baker added. Technology often has a way of leveling the playfield for the disenfranchised and remains healthcare’s best hope for developing new therapeutic avenues for disease treatment. Newer NGS techniques like RNAseq, nanopore sequencing, and long-read sequencing have emerged from the research space and are being rapidly adopted into the clinic, filling in the gaps left by WGS and WES, and in some instances, even surpassing the methodologies that paved the way. Beyond the technological advances, investigators are beginning to explore new biological pathways that could have a significant impact on rare disease outcomes. A quick search of the current literature will turn up a small percentage of scientists who are looking at the influence of epigenetics on undiagnosed disorders. Though the number of scientists performing research from this angle is “rare,” the evidence for epigenetic involvement is undeniable and could provide potentially novel markers for rare disorders. In the end, the best tests and methods in the world are still subject to the human decision-making process. Is this the right test for my patient? Will this approach provide physicians enough information to make accurate therapeutic decisions? Can the patient afford this? These are all valid questions that remain at the forefront of clinical NGS use—whether for rare or common diseases. “If we can reach a point where insurers and physicians agree that this [NGS] is a standard of care, we’ll see an explosion, because as you establish a standard of care, all of a sudden you move this out from the experimental to deploying it much earlier—so to me that’s the tipping point,” Dr. Jacob concluded.